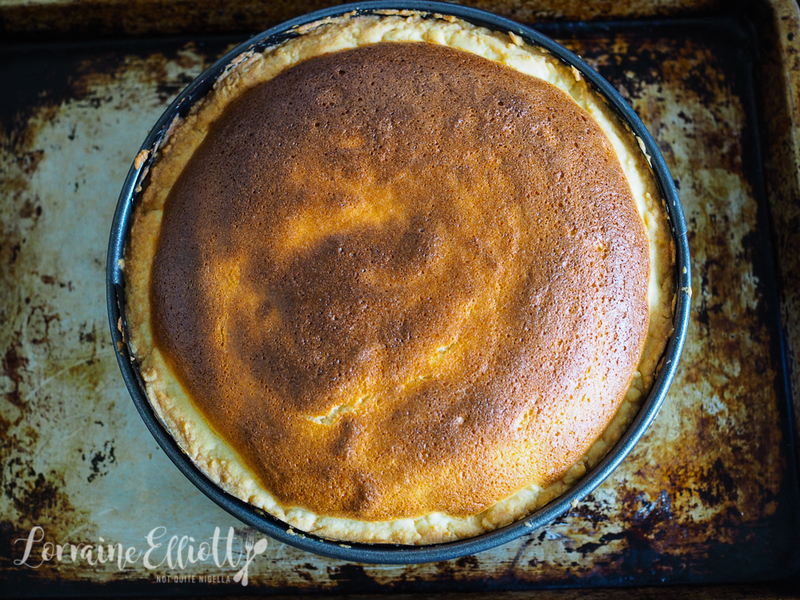 If you're a fan of lighter cheesecakes (in the vein of say Papa's ricotta cheesecake) or less sweet cheesecakes then this Alsatian cheesecake is right up your alley. 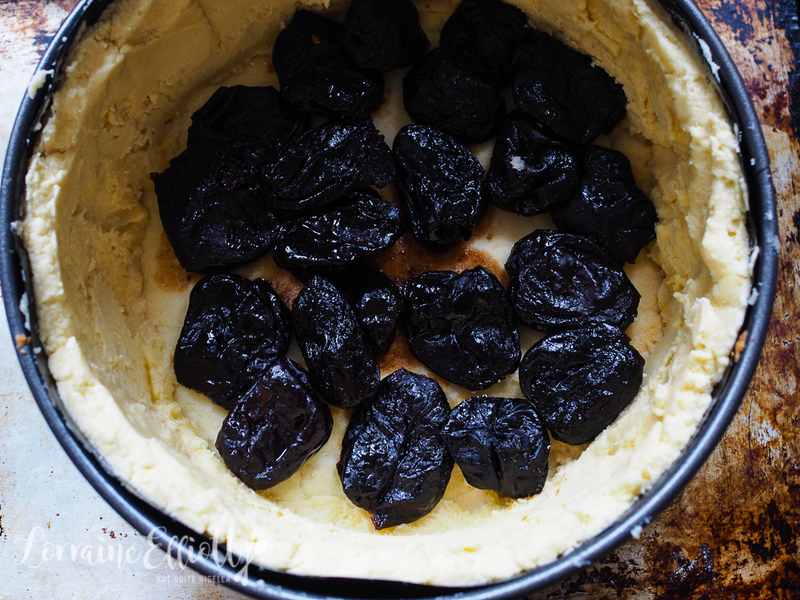 With a butter biscuit base and sides, a layer of brandy soaked prunes and a filling of yogurt or quark, cream, vanilla and citrus this is one of those divine cheesecakes to have up your sleeve. I called her Aliz. 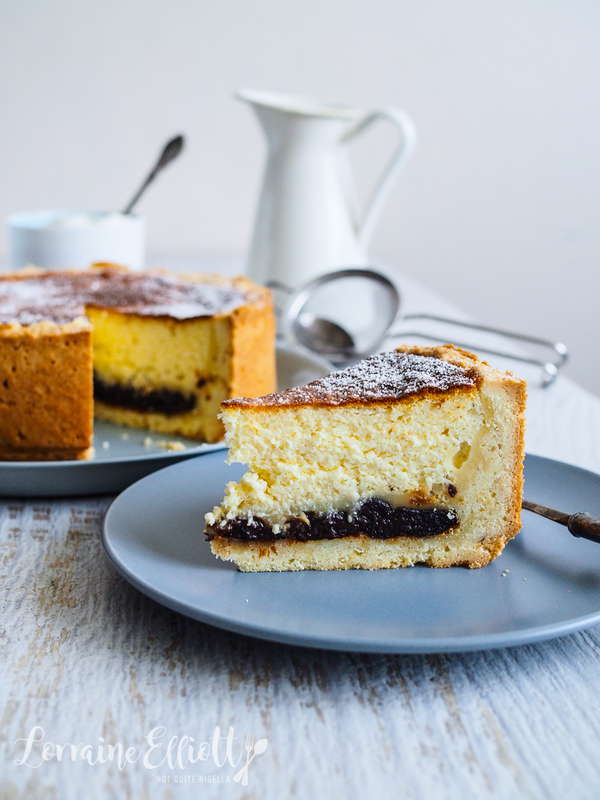 This cheesecake is also called käsküeche and Alsace Lorraine's location on the eastern part of France means that it is in close proximity and shares a border with Germany and Switzerland. When people speak of French cheesecake, it is the cheesecake from Alsace that they are referring to. There are plenty of variations as one would expect, some differ with the method (cooking the eggs over a bain marie or not) and some use fromage blanc, quark or yogurt. 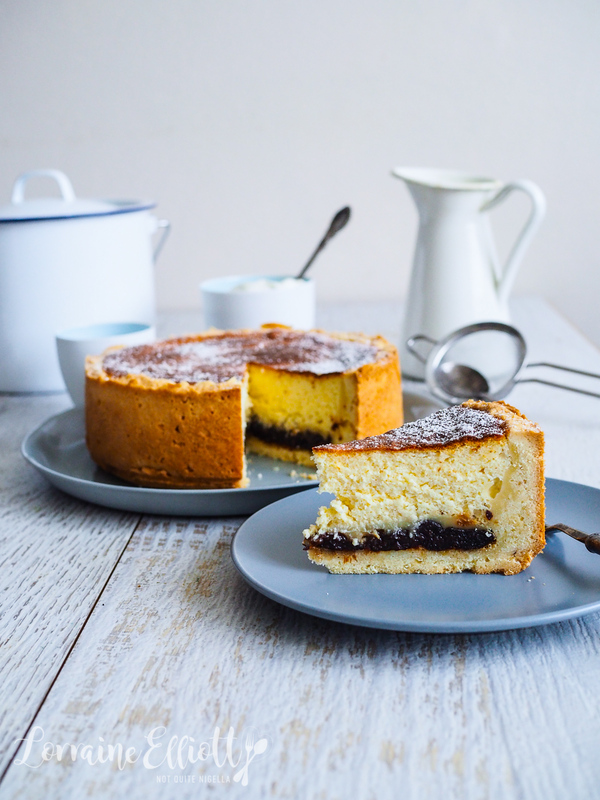 It's usually always made with a pastry base rather than a crumbled cookie base in the style of a New York cheesecake. I decided to go with the path of convenience and try it with yogurt and cream to see whether I could always be a couple of hours away from a cheesecake without having to go to the shops. 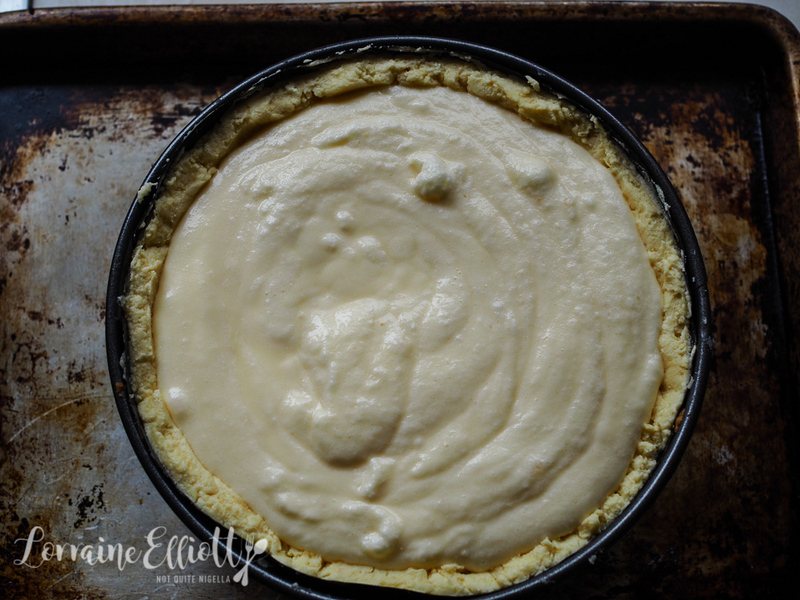 I first saw this recipe on Cakelaw's blog and was intrigued by the idea of using yogurt and cream in the cheesecake. I find I am liking less overly sweet things as time goes on (Turkish delight, baklava, caramel slice and pavlova excepted). For example out of gelato, froyo and ice cream I think I prefer froyo first, then gelato then ice cream. And while I don't always have cream cheese in the fridge beyond a single tub, I always have plenty of Greek yogurt and cream. The biggest fan of this cheesecake was Nina to whom I gave several slices to. I felt like I owed her something. I had recently played a bit of a prank on her. Keen readers will know that we all have a slight obsession with a movie called The Room starring, directed and produced by a peculiar guy called Tommy Wiseau. I often joke that she has a crush on him although she clearly does not. So I printed out 7 head shots of Tommy on glossy photo paper. I enlisted the help of Garth with my prank and he let me in their apartment to hide them in places where I was hoping that she would find them. I wanted to put the first under her pillow but their enormous dog Marley was sitting on it and I suspected he might eat the photo so I hid one in the book on her nightstand instead. I then placed one in the pantry, fridge in a fancy lingerie drawer and in a bedside table. Then Garth came up with the idea of replacing one of the photos in a frame with a photo of Tommy. I sat back and waited. And waited. And waited. I had expected Nina to message me that she had found them within the first couple of days but there was complete silence. Garth messaged me that she hadn't found any apart from the one in the fridge. Then a couple of days later she found the one in the pantry but she thought that it was Garth moving around the fridge photo. It wasn't until a few weeks later that she had a friend over and they were sitting in front of the television when her friend asked, "Why do you have a photo of that weird guy from The Room?". Nina then realised what was going on. I told her that once she found them all I would give her some cake. So tell me Dear Reader, what is your order of preference for gelato, froyo and ice cream? 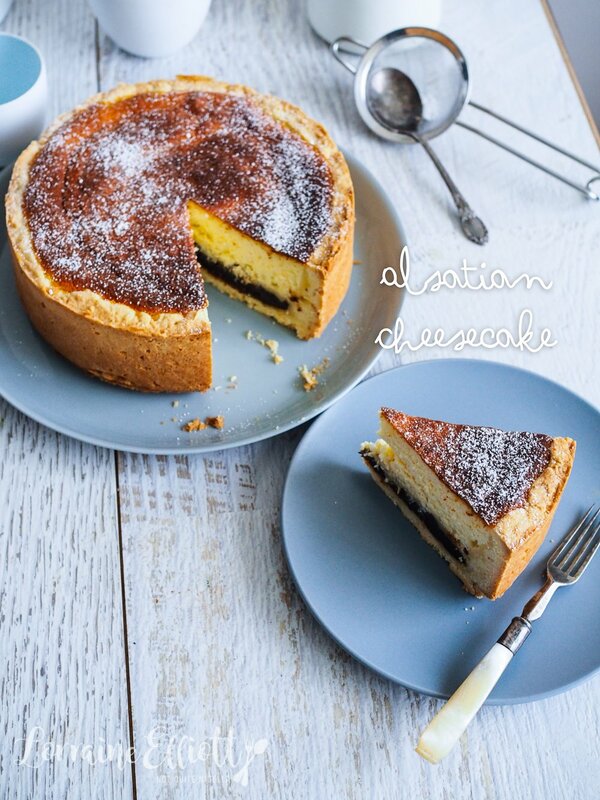 Have you ever tried an Alsatian cheesecake? 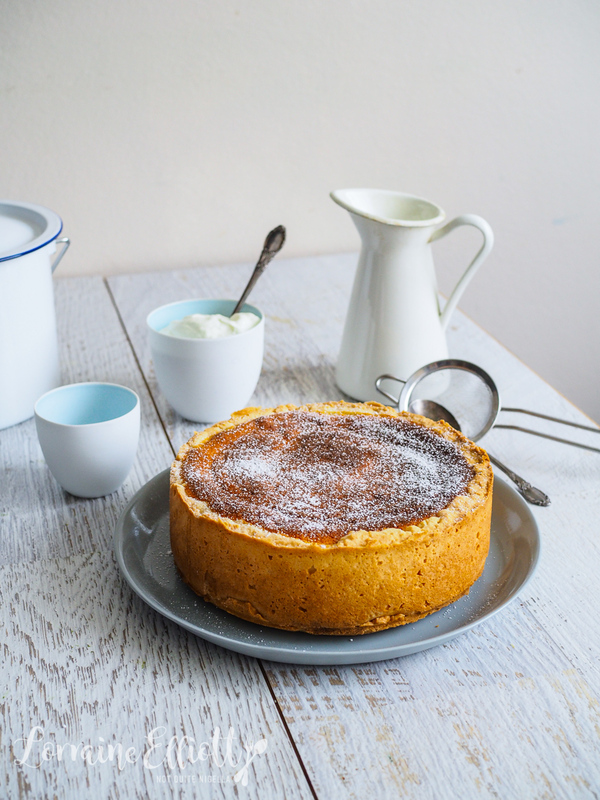 Do you think you'd like an Alsatian cheesecake or do you like things a bit sweeter? Step 1 - Make the pastry base. Beat the butter and sugar together until pale (around 4-5 minutes). Add the egg and beat until combined. Then on lowest speed add the flour and mix until just combined. This will be a very soft dough. 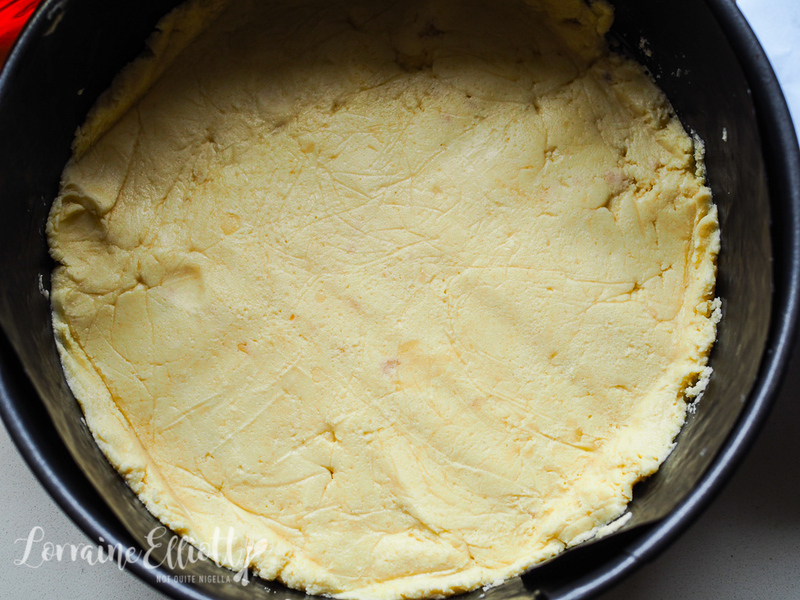 Divide into two lots and refrigerate for 10 minutes to firm up a little. Meanwhile soak the fruit in the brandy. Step 2 - Preheat oven to 180C/350F. Line a 20cm/8inch springform tin on the base and sides. 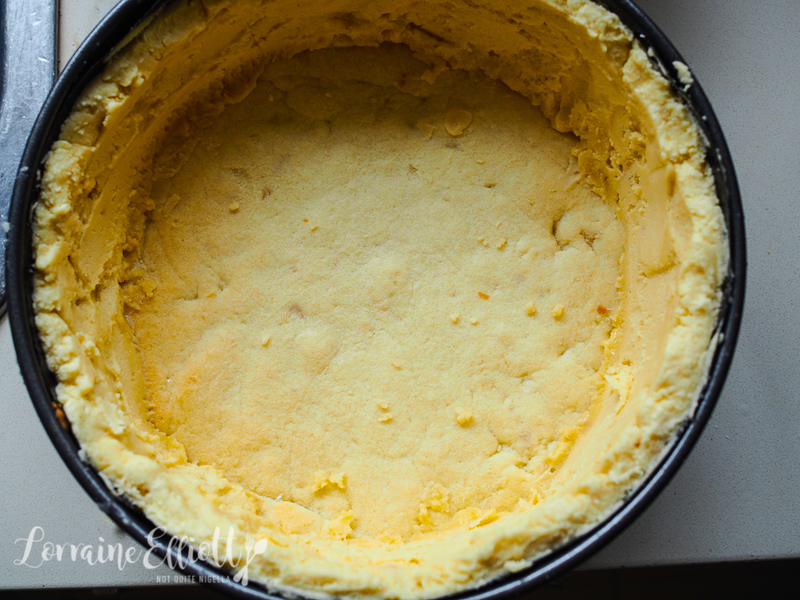 Press down one half of the dough on the base of the tin (not the sides) and pat down with lightly floured hands. Bake for 20-25 minutes until cooked and no longer tacky on the surface. Cool the tin. Step 3 - Press the remainder of the dough on the sides of the tin and then place the soaked fruit on the base and refrigerate until needed. with a clean whisk and bowl using an electric mixer, whisk the egg whites with the 1/4 cup of sugar until you get stiff peaks. Then in a separate bowl whisk the yogurt or quark with the cream, egg yolks, 1/2 cup of caster sugar, cornflour, lemon zest and vanilla. Add in 1/4 of the meringue to the egg yolk mixture and gently fold it in in 4-5 lots until incorporated and homogenous. Spoon over the fruit lined base and bake for 45 minutes or until the centre of the cake is no longer wobbly. 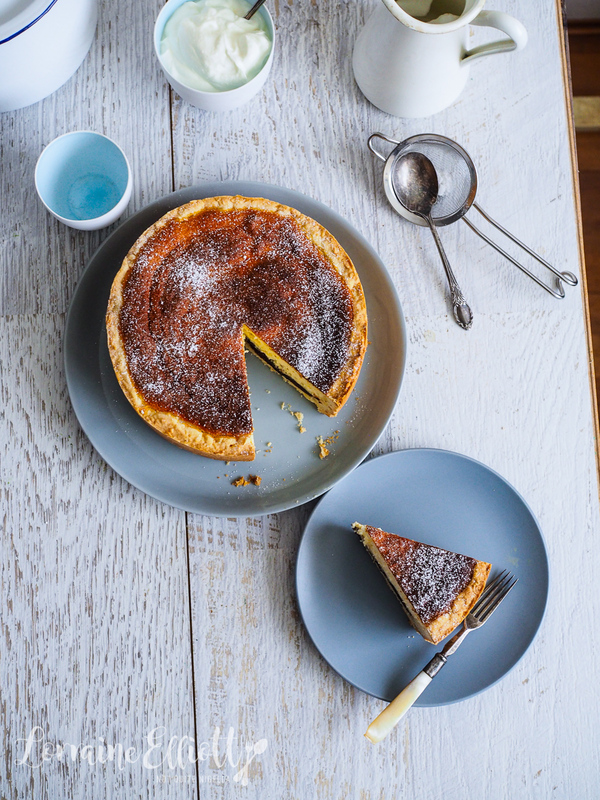 Cool in the fridge and serve in generous slices dusted with icing sugar.